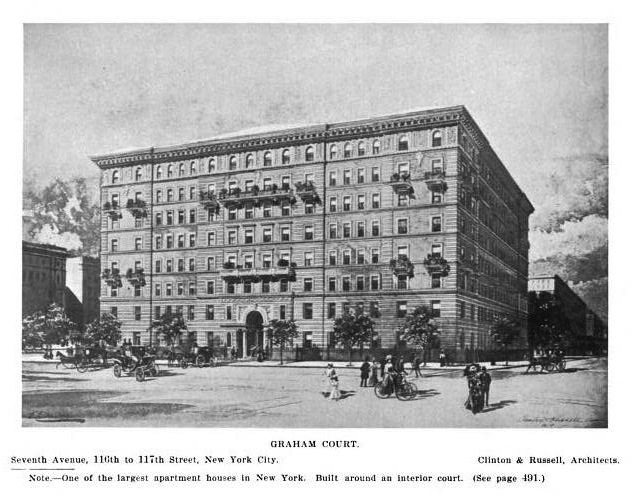 The Graham Court apartment house designed by Clinton & Russell c. 1901 on Adam Clayton Powell Jr. Boulevard (Seventh Avenue) between West 116th and 117th Streets in New York City. Funded by William Waldorf Astor, he would also hire Clinton & Russell to design the Hotel Astor (1904) and the Apthorp apartments (1908) in the following years. 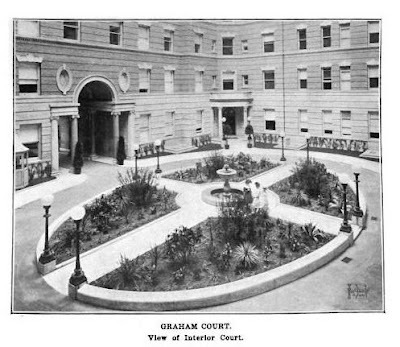 Click HERE for more on Graham Court and HERE to see the building on google street view. Congratulations, Zach, on another astounding blog. I try to follow OLI on a daily basis, and now you're providing even more treats. Best wishes, and thank you for your latest beautiful blog. 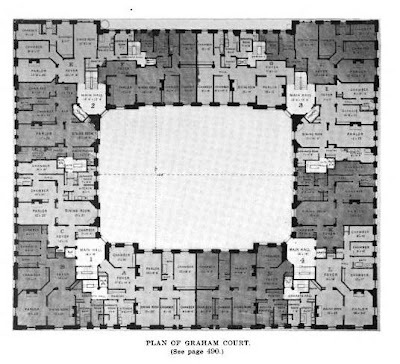 It's a miracle this building survived...I wonder how the interiors fared. Looks as if the courtyard is intact and those beautiful wrought-iron gates.